When talking about fiber optic transmission, we know that fiber optic transmission systems all use data links that work similar to the diagram, as shown in the following. Each fiber link consists of a transmitter on one end of a fiber and a receiver on the other end. Nowadays, “transceivers” which include both transmission and receiver in a single module are widely used in transmission system. With the rapid development of optical communication, there are various technologies which are applied to the transceivers. Each of them has its own advantages and disadvantages. Today, we are going to make a comparison of the main three transmission technologies—full duplex transmission, two-wavelengths BiDi transmission and single-wavelength BiDi transmission technologies. Full duplex transmission technology is the most commonly used technology. Almost most of the morden transceivers are duplex transceivers. Duplex tranceivers utilize two fibers to transmit data between switches, firewalls, servers, routers, etc. The first fiber is dedicated to receiving data from networking equipment, and the second fiber is dedicating to transmitting data to the networking equipment. Thus, the cost is high. Two-wavelengths BiDi transceiver uses one fiber, but two wavelengths for a simultaneous communication in both directions. Transceivers at two ends have to be different, which increases the capital and operational cost. 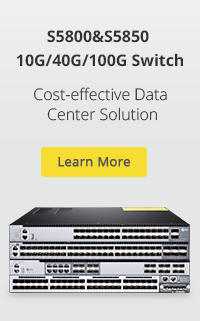 In addition, in a WDM-BiDi system, each channel cannot have a 100% dedicated bandwidth for both directions simultaneously since all the subscribers must share a common wavelength in one direction. The following table summarizes pros and cons of various transmission technologies. The single-wavelength BiDi transmission technology clearly shows its own unique advantages over two other competing technologies. If PC or UPC type connectors are used, the transmission distance may be limited by return loss. If APC type connectors are used, the transmission distance is limited mainly by allowable channel loss. There is always a chance that a wrong type of transceiver can be installed if other different type of transceivers is available. Each duplex transceiver has two optical receptacles, one for the Tx and the other for the Rx. There is always a chance that the Tx at the CO is connected to the fiber for the upstream signal for the subscriber. A TDM for one direction (e.g. upstream) is necessary. CAPEX and OPEX are high due to two pairs of optical MUX and DEMUX for a link. 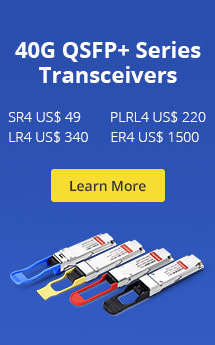 Fiberstore recently launched very special offers of BiDi SFP and BiDi SFP+ optics. An incredible discount and a full inventory. What are you waiting for? For more information, please visit the detailed of Fiberstore’s special offers. This entry was posted in Fiber Optic Transceivers and tagged BiDi SFP+, BiDi transceivers, Duplex transceivers. Bookmark the permalink.